Why are Some Online Roulette Games Minimum Bets so High? 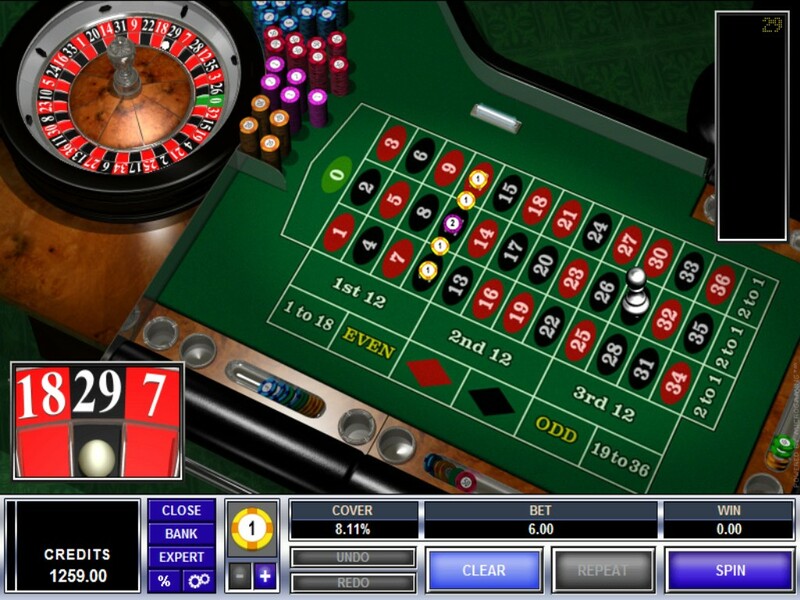 Should you fancy playing Roulette online then there are of course many different casinos at which you are going to be able to play a huge variety of different Roulette game variants. However, one aspect of playing this popular casino table game at some sites that is quite restrictive is that some sites have rather large minimum bets attached to their Roulette tables. You will find some casinos that will let you play their Roulette games for stakes as low as just 0.01, however some sites will not let you wager less than 1.00 per spin. The reasons for this are simply down to the way the software developers and game designers have designed their Roulette games. So if you are thinking of playing Roulette online, then please keep on reading for we are going to enlighten you on which Roulette games offered by different software companies, offer different minimum bet amounts. Never forget that when playing Roulette online, on a mobile device or at a land based casino you need to be playing the variants which have the very lowest house edge in place on them. The one Roulette game we can recommend to all of our website visitors is the French Roulette game, for this variant offers a house edge on all even money paying wagering options of just 1.35%. Probably the best casinos to choose to play at when you want to play Roulette online, but for modest stake amounts are those which utilize Playtech’s gaming platforms. When you play at any such site you are going to be able to play their Roulette games for tiny stake levels of just a few cents or pence, depending on what currency you have chosen to set your casino account to. Playtech do also offer a range of Live Roulette games, however it is worth pointing out that when you choose to play these games online you will find the minimum stake levels are higher than their standard software driven games, so do keep that in mind and opt to play their standard Roulette games should you have a modest bankroll available! Whilst the Roulette games offered by Microgaming are quite varied, you are going to find that the majority of their standard and new Gold Series games do require you to place a minimum bet of 1.00 to set the wheel into live play. So should you fancy playing games such as French Roulette, American Roulette of even European Roulette at a Microgaming powered site do keep that minimum required stake amount in mind, and be prepared to alter your playing strategy to accommodate that minimum bet amount! The one aspect of playing Progressive Roulette games online is that you are in most cases forced to place an obligatory side bet. The reasons for this side bet is due to the way that the progressive jackpot is awarded. On the majority of Progressive Roulette games you have to place that side bet and then hope that a certain series of winning numbers are spun in. Take the Roulette Royale game available from Microgaming, when you play this game in additional to all of your standard wagers, you are forced to place a 1.00 side bet and then to win the progressive jackpot you have to get one number spinning in several times consecutively. The downside of the bonus side bet is that it can eat away at even the largest sized bankroll very quickly and it does offer very poor value, unless you manage to beat the odds and win the progressive jackpot on offer, which is going to be a once in a life time event! You are of course going to have the option of playing any online Roulette game, with the exception of Live Roulette and Progressive Roulette for free and at no risk. All of the casinos that we have fully reviewed throughout our website give their players free play options on not only their Roulette games but all of their other non progressive software driven games. Whilst you are never going to be able to keep the winnings amassed during a free play Roulette playing session, by trying out several different variants in this way it is going to allow you to pick a variant that you enjoy playing, and you will of course also be able to test out any Roulette playing systems that you may wish to put into play at a later date for real money! As with any type of casino game found online, you are always best advised to have a look at the stake levels of the games you are interested in playing for, before you actually sign up to and make a deposit at any casino site. You are always going to find a wide spread of stake levels offered on all online Roulette games, and the art of becoming a more savvy player is always knowing how to stake each game you play optimally and never over staking each spin on the Roulette wheel. If you are tempted to play Roulette for too high a stake level, then you are going to run the very real risk of losing your entire bankroll much quicker than you would by putting into play more modest stake level amounts! One final thing to always be aware of is that you are rarely permitted to play Roulette for any stake amount if you have claimed a casino bonus! Some sites will let you play Roulette with a bonus but when you come across such a site be aware that the rules of that bonus may mean you have to play for stake levels chosen by the casino and will be required to meet a much higher play through requirement than you would when playing slot games for example, so always read the rules and terms and conditions of any bonus before you claim it!